For a few weeks, Drivy has been available in the United-Kingdom. Unlike the others European countries where Drivy operates, the United-Kingdom uses a different currency: the pound (£). We had to make some changes in our Android apps to support this. 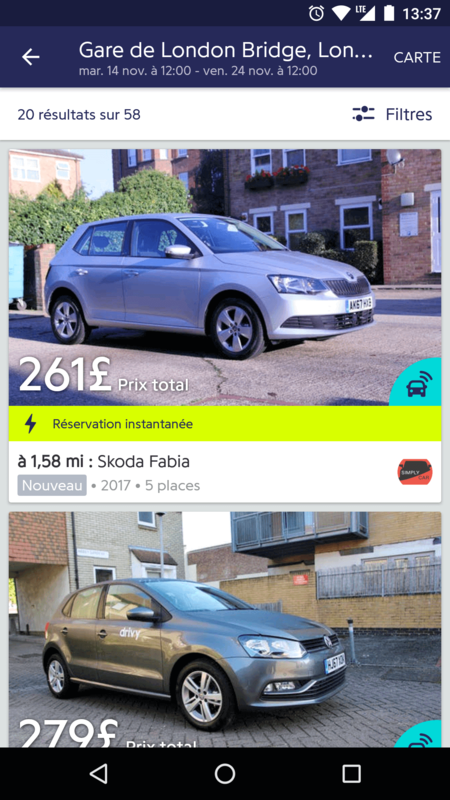 Here, prices are formatted server-side, depending on the search place (London, so £), and the app’s locale (french). But for some specific features we need client-side formatting, for instance an input field. Let’s dive into some Java APIs to see how they can help. As you can see, the currency symbol is not always displayed. Since there are multiple currencies using the same symbol (e.g. United States dollar and Canadian dollar), we will instead display the currency code if there is any ambiguity (well, except for € in en_US 🤷‍). #,##0.00 ¤ is the French currency format, and it doesn’t depend on any currency. ¤ is the currency symbol and behaves like a placeholder for the currency symbol or code. Now all we have to do is to draw the prefix and postfix! With the help of just a few provided APIs, we have seen that formatting a currency can be easy. So don’t try and format currencies by hand!